ARIA PRO II YS 500 WA (1979/80) - guitarfritzs Jimdo-Page! crazy wiring: 6-way-rotary tone-switch, splittable humbuckers... great ... but complicated. Let`s have a closer look at the wiring: from left to right: neck-tone-pot, bridge-tone-pot, master-volume-pot, coil-cut-mini-sitch, 6-way-rotary-tone-switch. Made in 1980 by the famous Matsumoku company in Japan this must have been one of their top models and pretty much "state of the art" of that time. Look at the cataloge from 1979/80 (below) where you will find this guitar in light oak (LO) and walnut finish (WA). 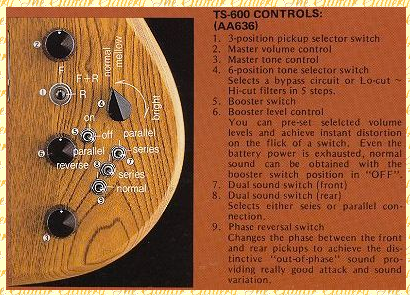 There Arai mention the "tone selector" switch but they don`t explain EXACTLY what it does. I never had a guitar with the VARITONE circuitry but from what I know this must be one of these rare biests. Listening to what it does at first I thought it was a simple treble roll off but then I realized that this was true only for the first two positions (The very first position on top is a Varitone bypass). The last two positions are ridiculously thin, sharp and out-of-phase sounding. You can use those only with a lot of overdrive. In short: The wiring is great in theory but in real life it is inpractible and inconvenient, overly complicated. 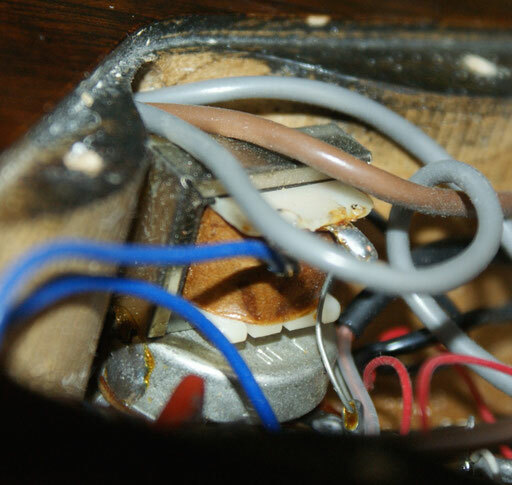 The 2-way coil cut mini switch works on both humbuckers and turns off the pickup coils on the neck side. 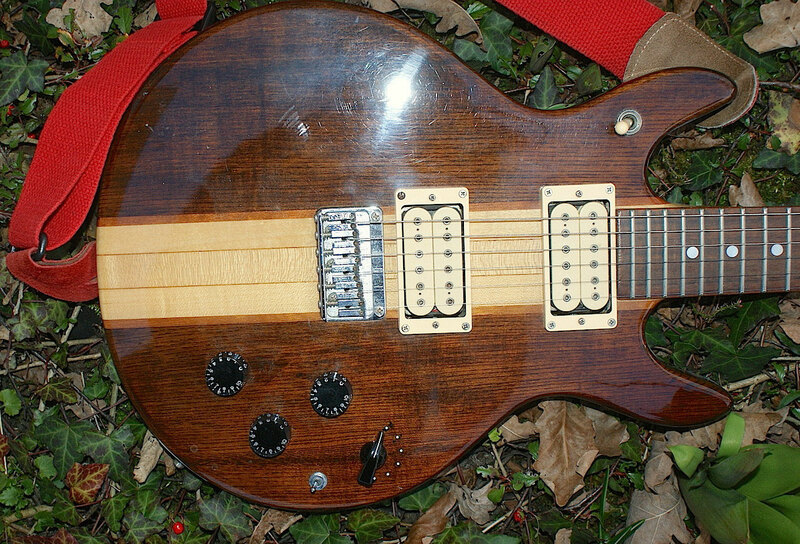 The 6-way-rotary works for both pickups as well. Unfortunately. 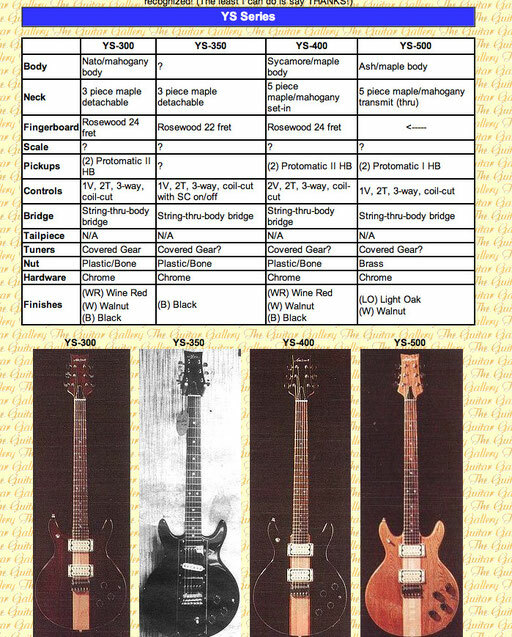 from the Aria cataloge and from a different guitar model. 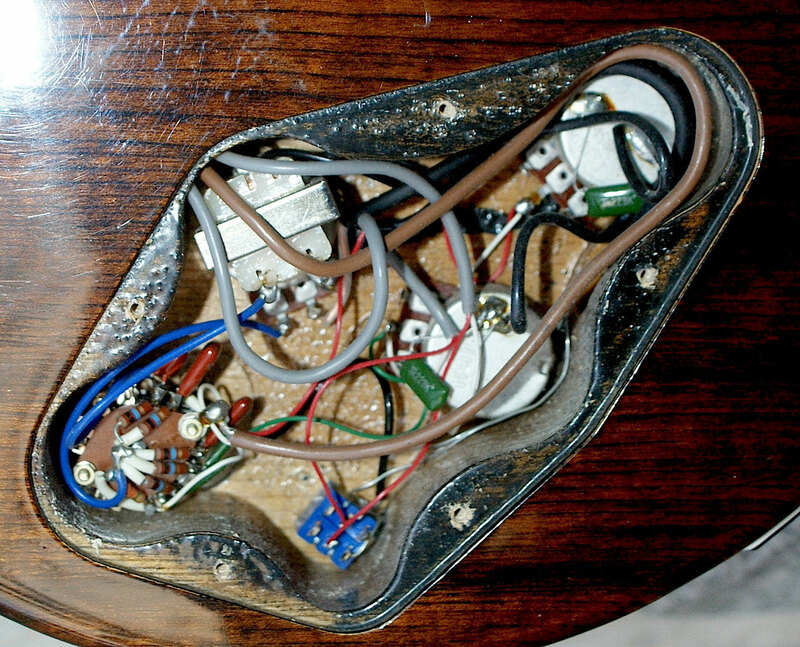 but the 6-position tone selctor could be the same: From Lo-cut to Hi-cut? 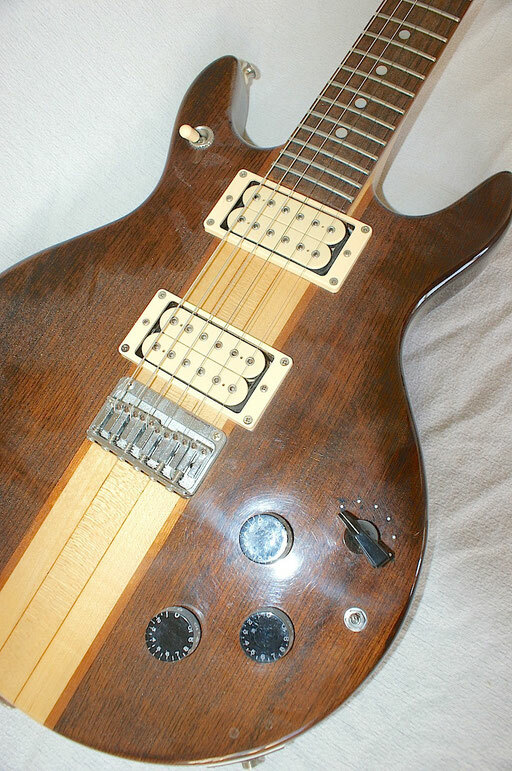 It is very well built and it is interesting as a statement of what Japanese luthiers were capable of in the late 70s and early 80s. 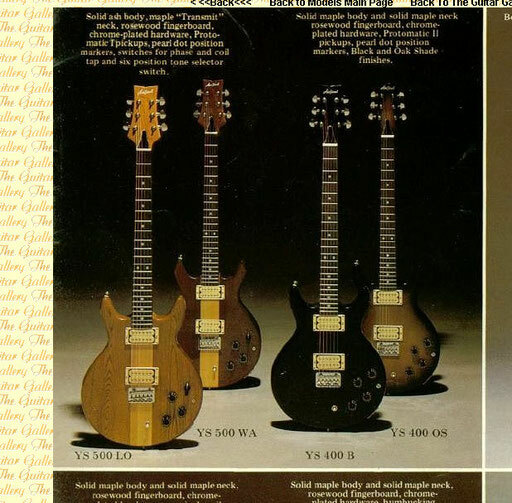 ... and finally the Japanese had started to do their own thing instead of copying US and European guitars. 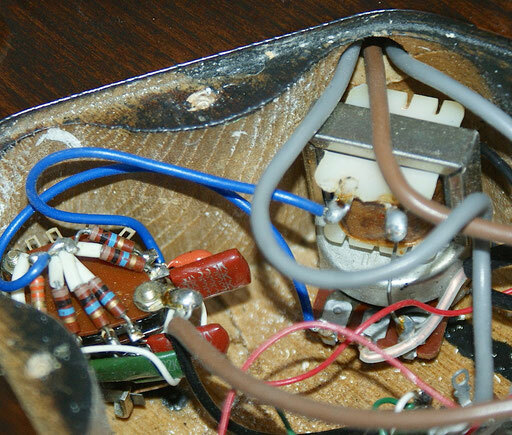 The tragedy with this guitar are the electronics. 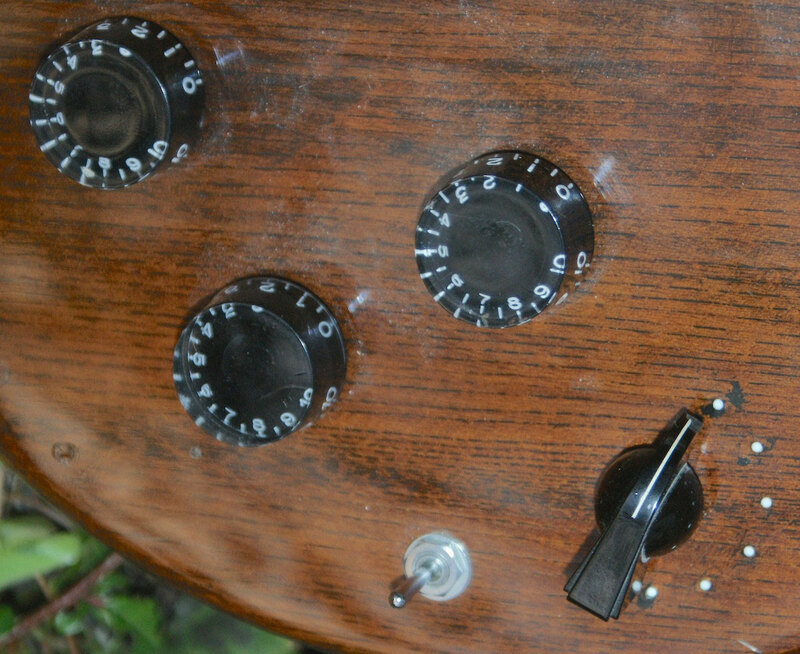 I dislike the coil cut switch and can`t get to grips with the Master-Varitone but I don`t like the amplified sound. A lot of bass and treble and nothing in between. and you can make a parody of funk music in the middle position. if I start modifying it in order to improve it, I will ruin the collector`s value. But is there ANY collector`s value at all? Who wants a guitar like this and really PLAY it? I guess it`s a real great rock and metal guitar. 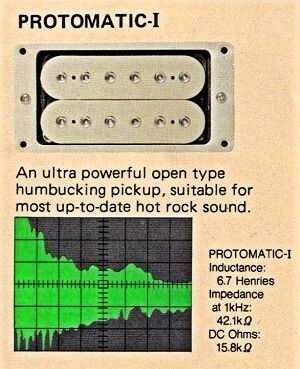 These hot splittable pickups look like DiMarzios with their hex-pole-srews. I assume ceramic magnets and I dislike how harsh they can sound.